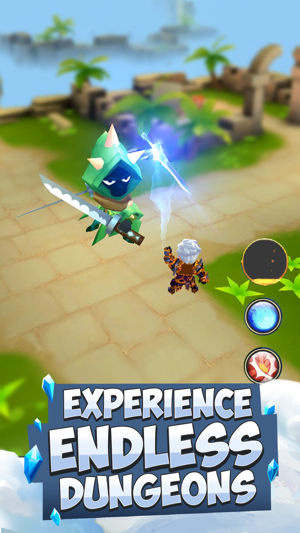 Knights & Dungeons is an epic & adventurous action RPG. 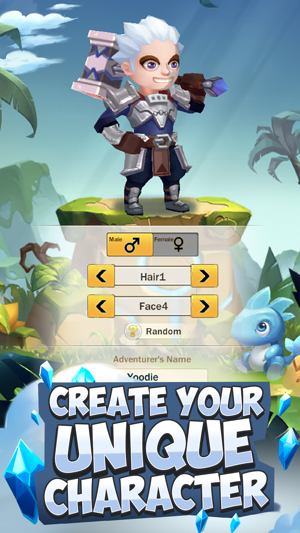 Design and customize your own knight and take it on an adventure! 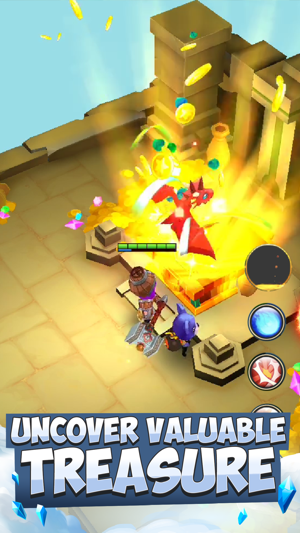 - Explore procedural dungeons, smite enemies, beat bosses, earn gold and items! - Climb the arena leaderboard - rewards await! Don’t forget to break containers and jars during dungeon run, find & bind gears and help your character become as powerful as ever! 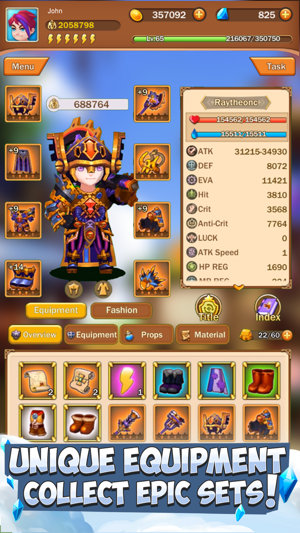 +15% extra battle exp, 1 extra slot in soulbinding tower, recover 15% more from failed dungeon run, +10 daily gold draws, +10 maximum number of friends, +2 daily stamina purchases, +1 daily co-op rewards. +1 Home construction worker, +20% pet adventure exp, +2 max energy, +30% extra Battle exp, 2 extra slot in soulbinding tower, +2 resurrections per battle, recover 30% more from failed dungeon run, +20 daily gold draws, +20 maximum number of friends, +5 daily stamina purchases, +2 daily co-op rewards. *Prices may vary in other countries reflecting your local currency exchange rate. Your subscription will be charged to your iTunes account. At the end of the term, unless auto-renewables subscriptions are disabled, your subscription will automatically renew in your iTunes account. You will be charged for the regular price of your subscription within 24 hours prior to the end of the current term. You can turn off automatic renewal in your iTunes account settings at any time, but you must do so at least 24 hours before the end of the current term. Refunds will not be provided for the unused portion of any term. 1. 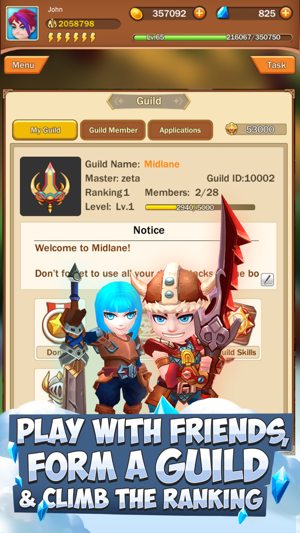 You can now change character name in game using Rename Potion. 2. You can now change how your character's look using Beauty Cream. 3. Multi-languages support is now added. More languages to come! 5. Text wrapping in chat is fixed. 6. Chirpy is now a purple quality pet. 7. 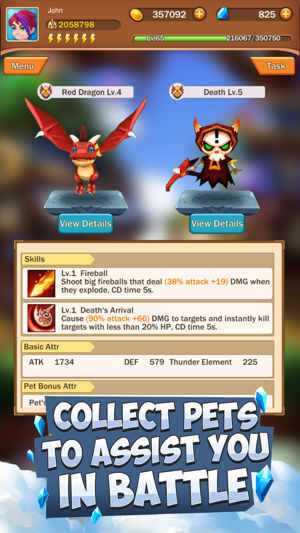 Now the game shows damage's elements. 8. Support help pages on iOS is now fixed. 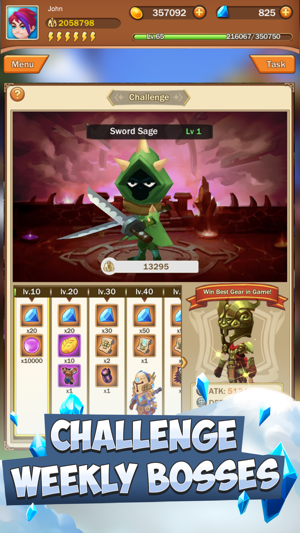 It’s very F2P, no ads and is not forcing ANY micro transactions. There are perks to having a monthly subscription and if I keep enjoying the game I will buy one. It’s a great game guys, keep it up! UPDATE: this game is really addicting. Mad credit to the developer. Keep them updates and enhancements coming! UPDATE 2: The game is still really fun and It holds my attention well. One of my gripes at this point is The energy Core System for the airship. I used all my 10 times to attack other players, and only three of those times somebody had energy core crystals. I have thousands of extra parts, but no crystals because there’s very little that people have and they get stolen from battles.